The Hobbit: An Unexpected Journey has dropped another photo, courtesy of Entertainment Weekly. 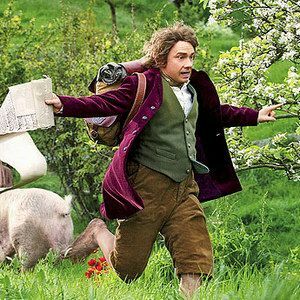 Here, we find Martin Freeman as Bilbo Baggins, running through the shire with what appears to be a bit of exciting news. Check it out, it's the pigs of the Shire!